I thought that these pearls looked like hearts. And not every heart is perfect but at least we try, right? 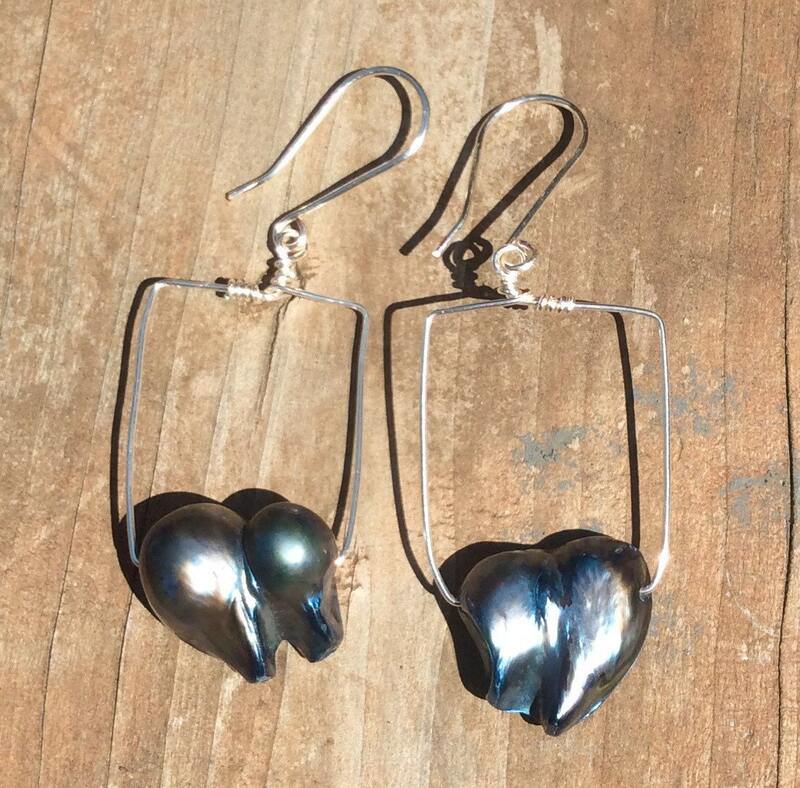 These earrings are fun and pretty and the pearls dress them right up. What lady leaves the house without her pearls? 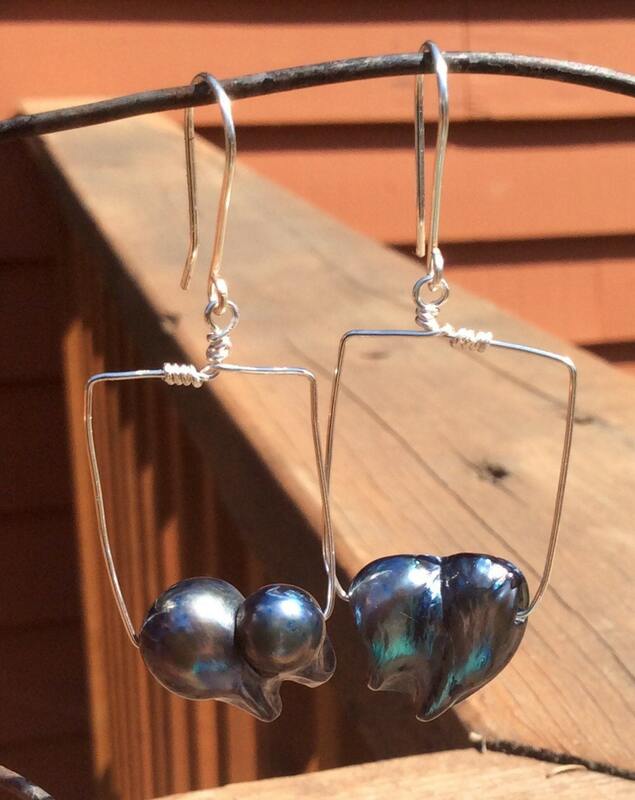 I liked the silver wire frame around the pearls, kinda like a swing. I handmade that swing, along with the ear wires, using silver plated wire. Earrings are 2 1/4" from the top of the ear wire and are 7/8" wide.